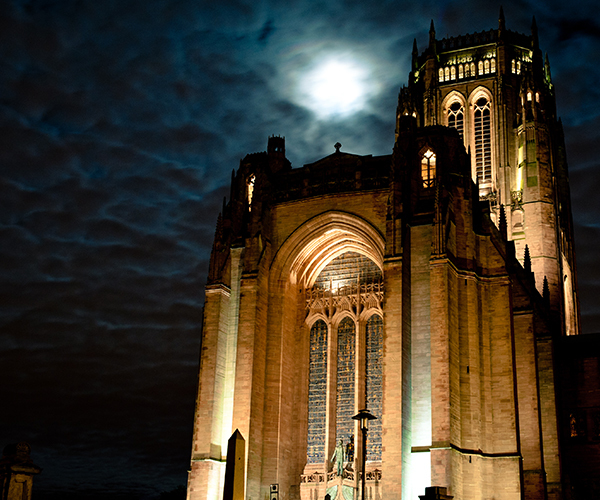 Liverpool is blessed with two cathedrals – one Catholic, one Anglican – and as well as contrasting in styles, they are both unique in other ways. Enjoy a personal guided tour of both with your local guide. 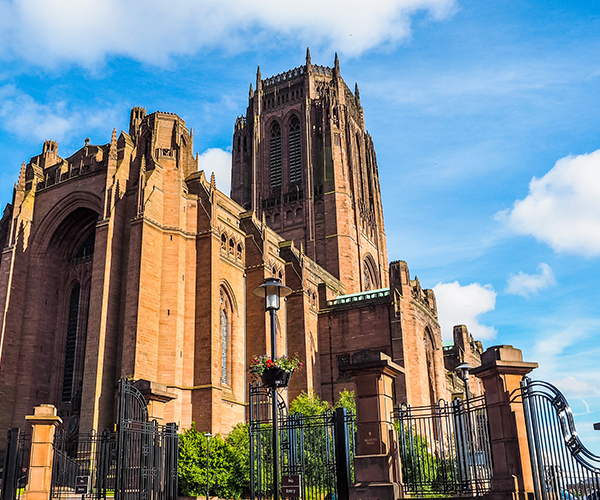 The Anglican Cathedral – known as Liverpool Cathedral – may at first be mistaken for a medieval Gothic masterpiece, but like its Catholic counterpart, it is firmly of the twentieth century and took 74 years to build. It holds many world records: highest Gothic arches in the world, highest and heaviest peal of bells, largest organ in the world, largest cathedral in Britain, the fifth largest cathedral in the world. The scale of this 20th-century building may best be appreciated by visiting it. But with the help of your guide, you will discover not only the record-breaking structures but also hidden gems such as the hidden church mouse and the Queen and Prince Philip’s lovers’ knot. You’ll even discover how the cathedral upset one of the city’s most famous sons, The Beatles’ Sir Paul McCartney! We then transfer either by coach or on foot to the cathedral at the other end of the only street in the world that may boast a cathedral at either end. The Catholic Cathedral, or Metropolitan Cathedral of Christ the King, to give it its full title, was completed in only 5 years during the 1960s and is still the only circular cathedral in Europe. Anyone can take in the beautiful colours cast onto the marble floor by the largest piece of stained glass in the world and walk around the various chapels, but it is with a Blue Badge private guide that you will discover the “oranges and lemons” window or the reason why there are no pillars. Learn why the date “1982” re-occurs around the cathedral and why it was an important year not just for the Catholic cathedral but the Anglican one too. And be sure to ask who “Fish and Chips” were!